I'm excited to link up to Kate's "Where Do You Blog?" party today over on her blog, Centsational Girl. It's been pretty fun to look through pictures and see where other bloggers spend hours doing their blog thing. There are some beautiful office spaces out there! 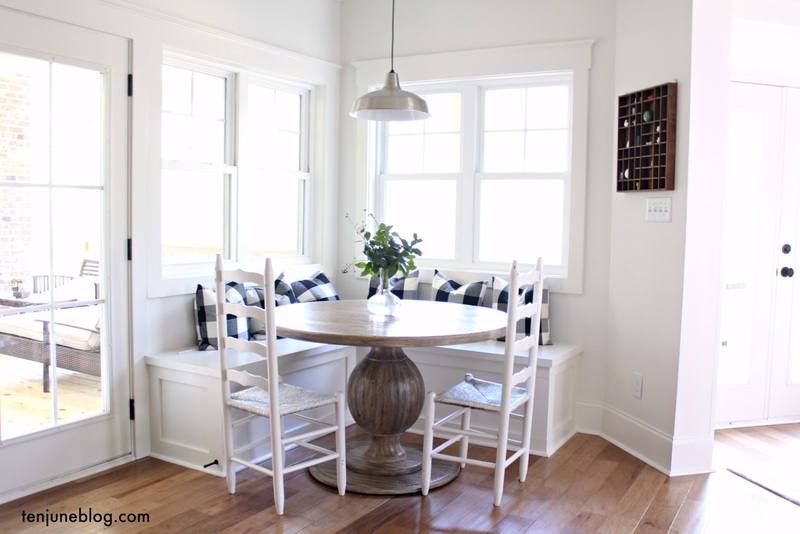 But my favorite parts of this link party have been the honest answers- the bloggers who are not writing at their beautiful office spaces or in their fancy libraries, but those who are blogging away at their kitchen counters, on their back porches, or even tucked away behind their covers! ... I'll be honest and let you know that most of the time I blog in my pajamas on my couch! After a long day at work (where I sit at a desk, in a suit allllll day) I love to sit back on my huge couch with my hubby and my dogs in the room with me. Hi, I am a dork :) But it's the truth!! So spill the beans... where do you blog or surf the Internet? I just found you through Centsational link - this is an awesome room, and i wouldn't be getting any work done with that view. Hi Michelle! Hopping over from the link party! Cute office space, but I'm with you on couch blogging! So comfy! :) Gonna go check out the rest of your great blog! Love your striped walls. Following now! I also love the honesty! 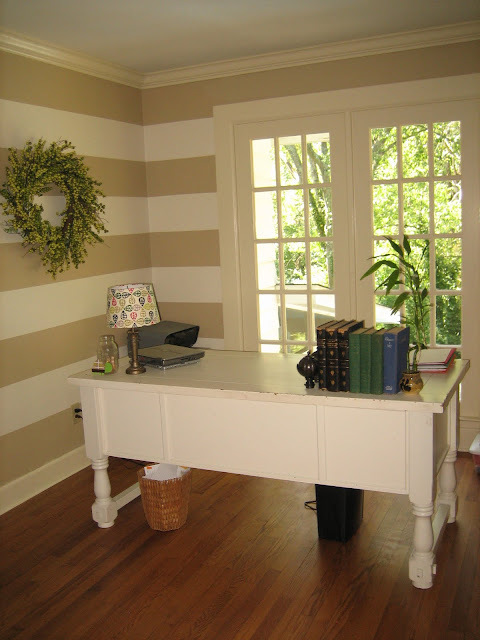 I love the stripes in the office, they are really bold but the color is perfect! I also blog from the couch! Oh, I signed up to follow you blog, it's cute. Those stripes pulled me right in. Lovely space. I'd love you to link up with my Simple Pleasures series some Thursday. Thanks so much! I appreciate the love on a post where I'm wearing my pajamas! :) It's so nice to have all of you reading! And I always love comments, so keep on posting them!! Enjoy! OHHH I do love your office but your couch looks SO comfy! I'm so very in love with your carpet! IT'S fabulous!!! ...isn't this a GREAT party? Wow, it looks relaxing no matter where you chose to blog from. Love your stripes!!! I'm hooked on them lately too. ps -- you are too cute! Love the view and the stripes in that room. Your office is beautiful! I love the stripes and that desk is awesome. Love your blog space!!! Where did you get your yellow rug? Happy Blogging? Thanks so much, everyone! We love our office stripes :) I think I'll do a post sometime next week on the "how to" behind the stripes... it is not an easy task! You'll have to check it out!! :) Thanks again for all of the comments- keep them coming! Have a great day, ladies! Awesome Michelle !!! Love how frank you are ! 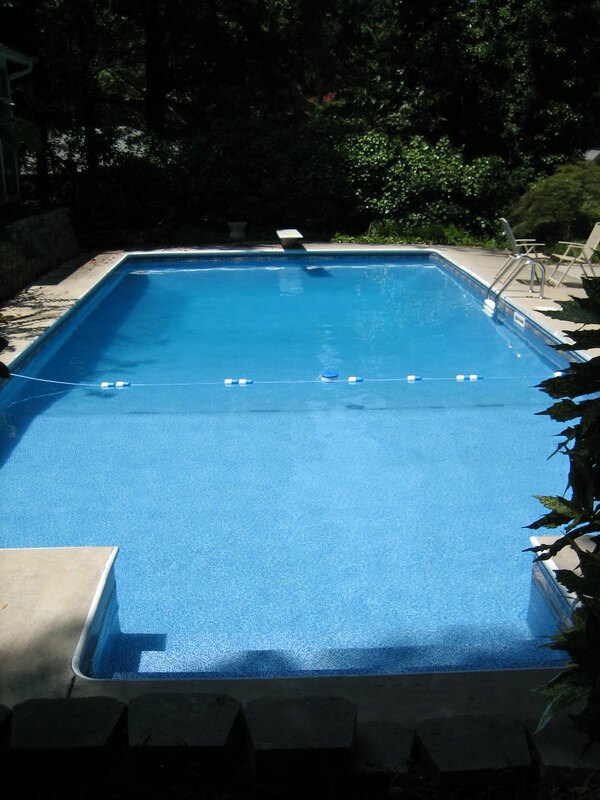 Killer view by the way, I'm longing to jump in. How incredible is your sunny yellow lattice rug ? Heart !! 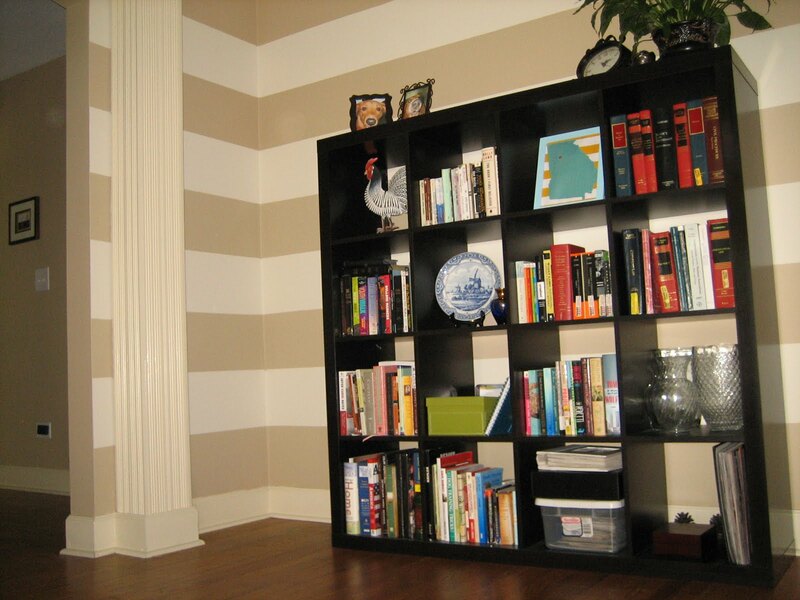 Thanks so much for linkin up, the wall stripes in your office are gorgeous !